Be a responsible #greendog walker and leave only pawprints. We have lots of dogs being walked in the area so please bring poo bags with you if you are walking your dog and pick up their poo. 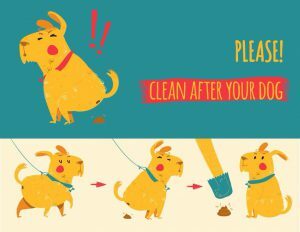 Owners/handlers who do not dispose of dog faeces in a responsible manner may receive an on-the-spot fine of €150. Failure to pay on-the-spot fines can lead to prosecution in District Court with a maximum fine of €3,000 and €600 per day for continuing offences on summary conviction. Bookmark this article Be a responsible dog walker and leave only pawprints.